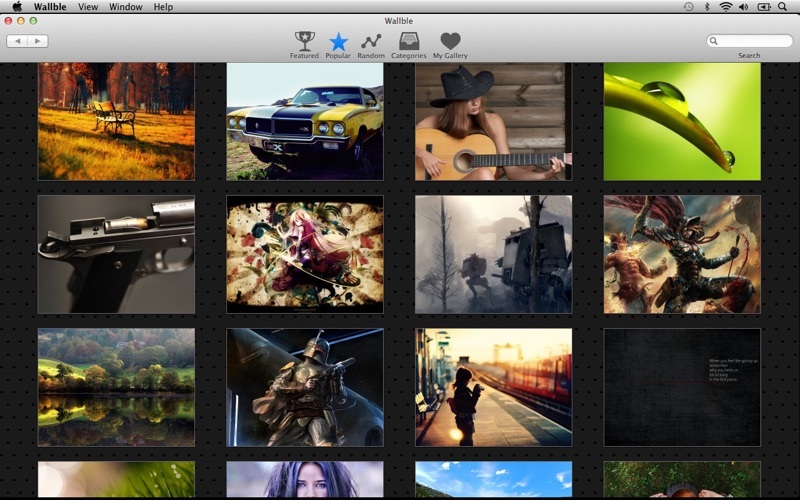 Wallble lets you search, browse and discover over 1 million HD wallpapers. Never use the same wallpaper twice. 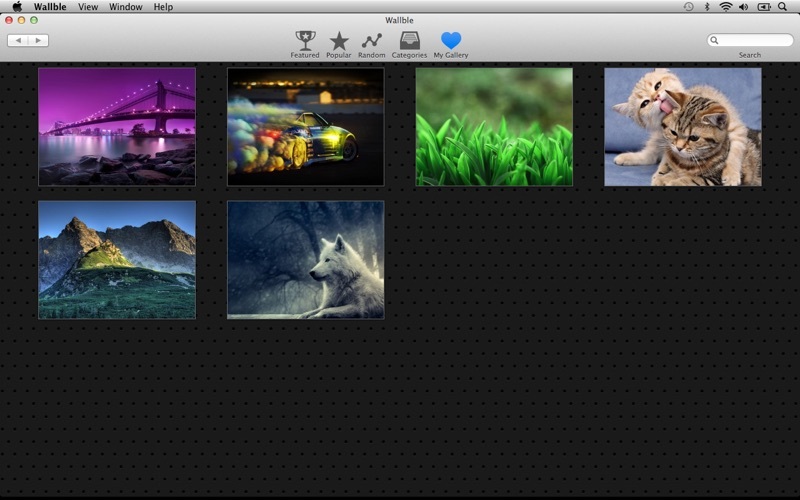 With only one click, you can easily download beautiful wallpapers right to your Mac. 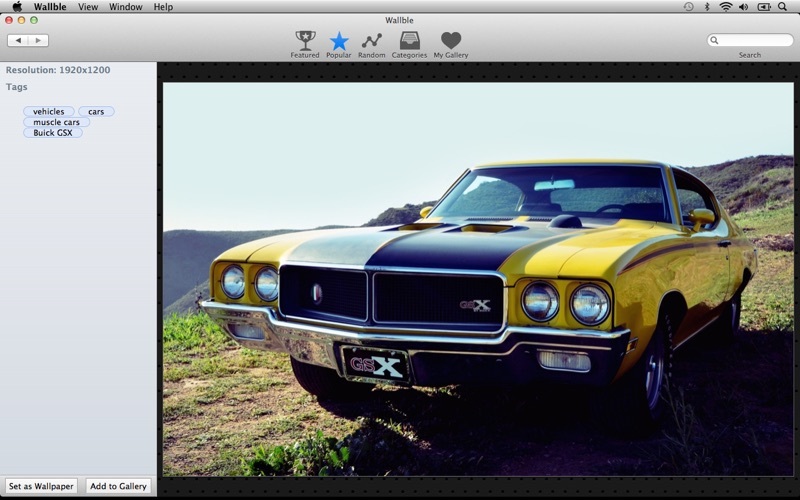 Wallble helps you find beautiful wallpapers and set them as your background with only one click! Wallpapers direct to your desktop within seconds! 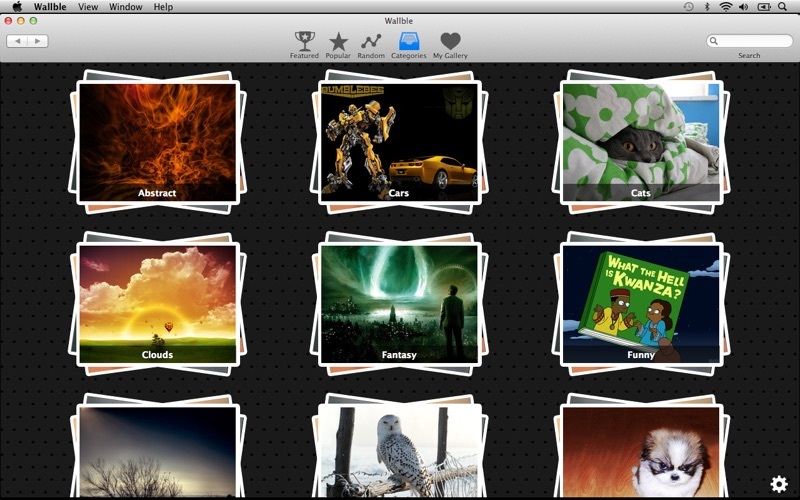 Type in your favorite category and Wallble will find the wallpapers for you. Why should you be stuck with categories created by someone else? You know what you want, so just type it in! Check in daily for brand new HD wallpapers right at your fingertips! Found another amazing wallpaper? Add it to your personal gallery for later! Have two monitors? No problem. 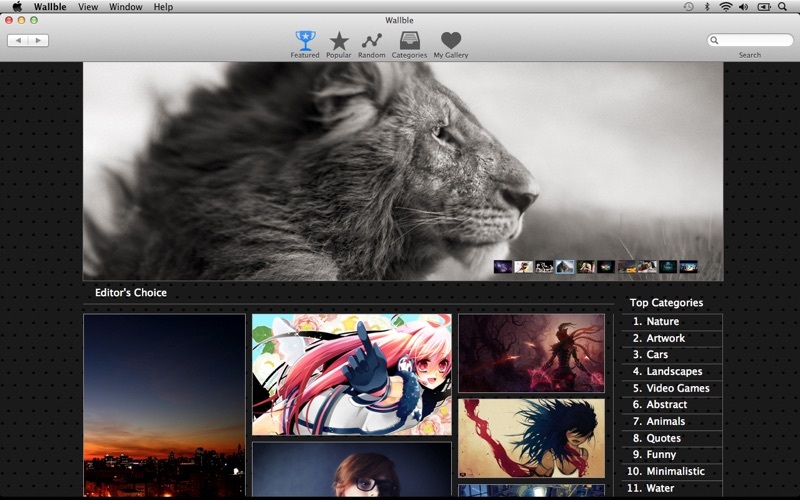 Wallble has automatic dual monitor detection and lets you control what wallpaper is on which monitor. 4. When the "GO" drop down menu is visible, hold down the "option" key and select the "Library" submenu option. 5. 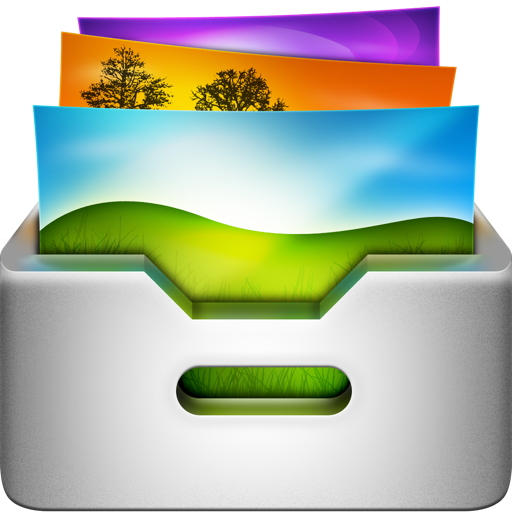 In the pop up window, find and click on the "Containers" folder. 6. Within the "Containers" window, find and delete "com.smartieants.wallblewallpapers"